Dr. Ted Lankester, Co-Leader of the Arukah Network talks about the calling that led him and his young family to the Himalayas years ago and his thoughts on what Christians need to do for greater impact in the global health world. Please tell us about what you and the Arukah Network do. The word Arukah means “restoring to soundness; wholeness, healing, perfected.” How was that name chosen for the network and how does it apply to your work? We were originally known as Community Health Global Network (CHGN). But the name became stale and we hunted and prayed for a new name. When searching Greek and Hebrew words Arukah stood out with the meanings above, a perfect fit. Arukah is also the word used to rebuild the walls of Jerusalem. We checked the word with our Cluster members; there was almost universal agreement and “ownership” for the new title. Can you explain the Cluster structure of the Arukah Network? Clusters are focused collaborative groupings of those within defined geographical areas, some small, some covering hundreds of square miles. A Cluster brings together as wide a group of people and organizations as possible. It is led by Christians and all or most cluster members belong to the Christian faith. These include existing community groups and leaders, churches, NGOs, hospitals, government health programs and others. The Cluster itself then moves the whole process forward bringing trust and connection. They own the process and amplify social impact. They demonstrate Christian beliefs and values. Clusters are already having a visible impact in their own areas, rippling out further afield and sparking the creation of new Clusters in other places. We currently have nine clusters in six countries. Others are being requested. The two latest are Freetown, Sierra Leone and Assam, India. You can read insights from our Clusters here. How does your faith play a role in your work at the Arukah Network? Our faith remains our prime reason, through motivation and compassion, for spending our time and energy on Arukah. The beliefs and values of God’s kingdom, including the “Fruits of the Spirit” are foundational in both our team relationships and in our work with Clusters. The early verses in Isaiah 61, later articulated as the Nazareth manifesto by Jesus, empowers our thinking and sharpens our focus. The role of faith-based organisations and above all worshiping communities, especially church congregations, gives clusters both a geographical center and a spiritual heartbeat. What are the most satisfying and the most challenging parts of your job? I co-founded and have co-led Arukah (originally CHGN) since 2005. The most challenging part is raising sufficient money to move the program forward both in depth and into new areas. We have a small team and low expenses but it still takes a lot of our time. The most satisfying part is the joy of seeing Clusters work in practice, hear amazing stories and get invited to start new Clusters. Also to see with thanksgiving that our model really fits what is needed at the present time, both in concept and also in the way it works in practice. Was there a turning point in your career (or life) that shaped your direction leading you to where you are now? The first turning point was when I felt called by God (I usually call this a vocational call) after practicing as a family doctor in London for seven years. Within 24 hours I and my wife Joy became certain we should up-stakes and move out to the Himalayas. Just six weeks later we were there with our three under- five children, in a tin house high in the hills, and for the first week overrun with rats. Those seven years and subsequent visits were probably the richest years of my life to date! Tell us about the book you just wrote with Nathan Grills. What is your goal behind the book? It’s called Setting up Community Health and Development Programmes in low and middle-income settings. That is a bit of a mouthful but the book is “What it says on the cover!” The book has grown to 520 pages, numerous illustrations and 28 chapters, many with specialist authors. It’s all about how to start and develop programs, with an emphasis on evidence, field studies and above all ownership by the community. It’s the fourth and greatly expanded edition, but the first by Oxford University Press. It’s written in easy-to-read English and is ideal for field managers and practitioners but also for academics and students as it’s carefully researched and referenced. Its available from Oxford University Press as book or download and from Amazon as book or Kindle. How has involvement in CCIH has helped you and your organization? I have been consistently encouraged by meeting members of CCIH and reading and engaging with all that CCIH stands for. More specifically we worked with CCIH at a Salvation Army Conference in London on family planning a number of years back. 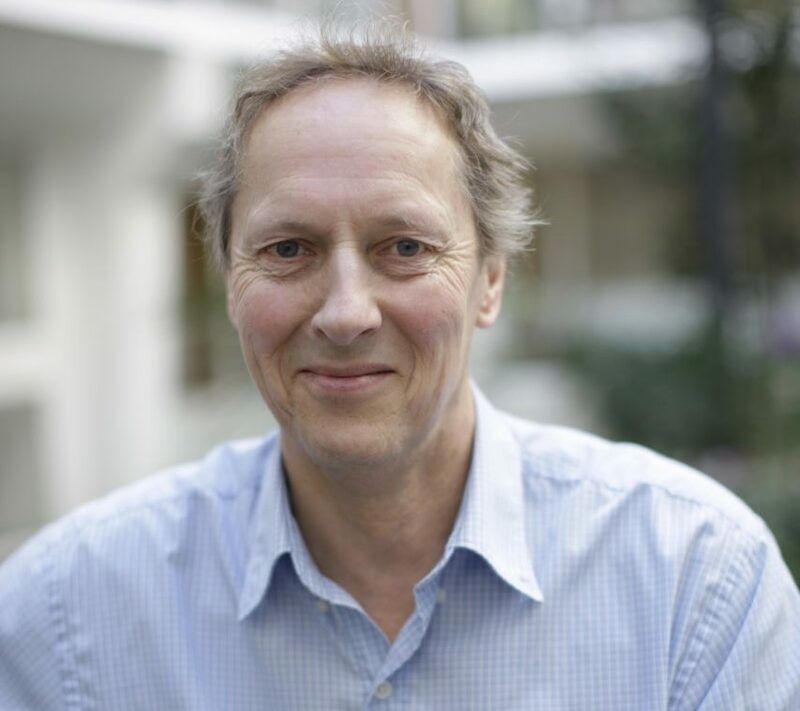 Nick Henwood has attended two of your conferences with great benefit, and spoken at one. I feel CCIH is very attuned to who we are and what we do in Arukah, and in our commitment to Kingdom-led social and spiritual transformation. We need to first make sure we record and document what we do. We are largely “invisible” to the global health world because we are so busy and so focused. Good information will lead to more effective communication and research, to writing, speaking and having an impact on policy makers in both government and the voluntary sector.